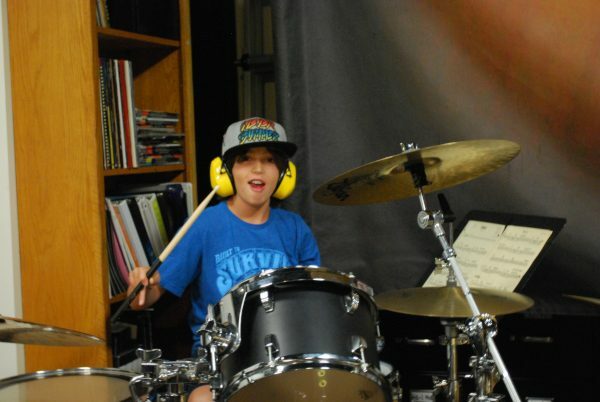 The Drum Music Camp is a fun intensive week of drumming and percussion for drummer of all levels. In a group setting drummers will play drum set, and a variety of percussion instruments such as congas, bongos, shakers, cowbell and more. Instruction will also be given on a variety of core styles such as rock, blues, jazz, latin and swing rhythms. What will I do at the Drum Music Camp? 5. Fun intensive drum camp. 6. Learn about master drummers. 7. Work on a variety of techniques and styles. What are the Drum Music Camp hours? 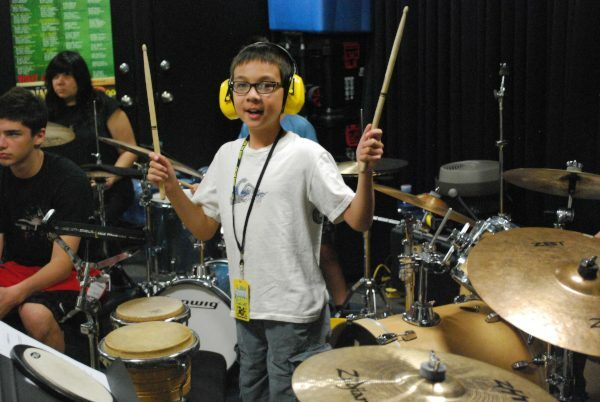 Drum Music Camps are held throughout the summer and meet from 9am – 2pm. Monday through Friday. Great camp to for sticking and rudiments. Call us today and ROCK your summer! Drum & Percussion Music Camp meets June 24th. Drum Camp is a great way to learn new drumming and percussion styles and make new friends! Choose a music program that limits each camps class size. Choose a music program that schedules age appropriate music camps. 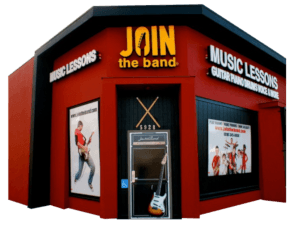 Choose a music program with a fun studio environment.